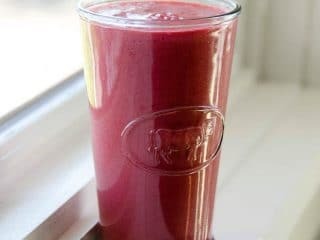 I go through phases where I don't want anything but this tangy, delicious, and creamy raspberry Meyer lemon smoothie for breakfast. We like to use fat-free, protein-rich Icelandic-style skyr. Greek yogurt is also a great choice. Skyr or Greek yogurt and creaminess and protein to this tangy smoothie. You can choose your own fat level — it will taste great however you roll. I’ve been crushing on this raspberry, Meyer lemon and Skyr/ Greek yogurt smoothie many, many mornings during the past month, since I’ve been looking for a little extra protein and haven’t been feelin’ the chalky vibe of vegan pea protein powder. Combine all ingredients in a blender and process until perfectly smooth. 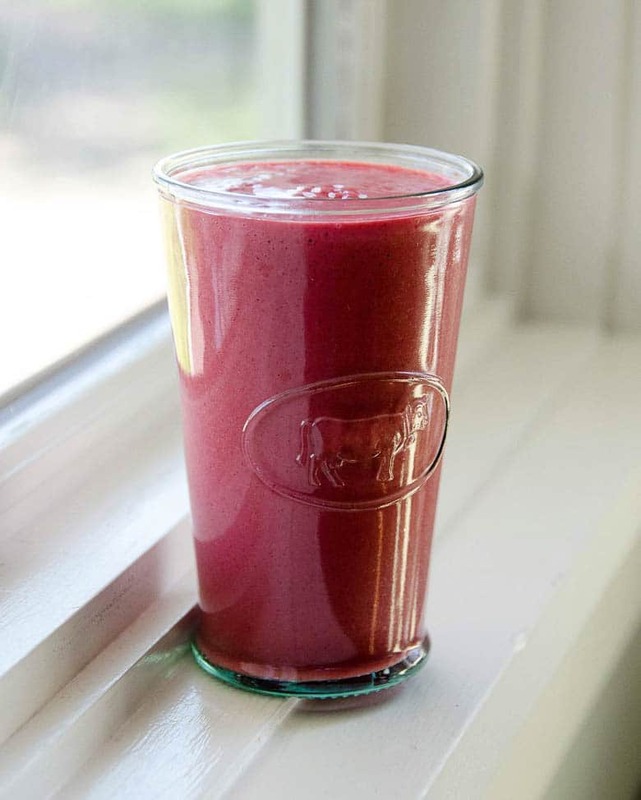 If you'd like to make this smoothie vegan, simply use nondairy yogurt.